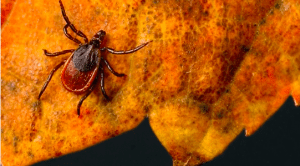 Andrew Evans remembers when Lyme disease first began to emerge in the local consciousness. In the early 1990s, Evans served as a Dutchess County public health adviser whose job it was to investigate how many cases were afflicting county residents. Two things were happening: Ticks with the Lyme pathogen were increasing at alarming rates, and so was local awareness about the disease. As a result, Hudson Valley counties became known for having the highest Lyme infection rates in the nation. That is still the case, though you would never know it from federal statistics. READ MORE.